Delivering world-class next generation Combat Air capabilities was a talking point at the first major industry briefing from Team Tempest to ADS members held last month. The Tempest future acquisition programme launched at the 2018 Farnborough International Air Show, and this recent event was a springboard for a series of discussions to develop the right capabilities and technologies to meet the demands of the programme. Members heard from Government, the military and the Team Tempest partners and not surprisingly it was a full house. It confirmed that Team Tempest is actively engaging with UK industry across sectors right now and was particularly interested in those companies delivering excellence in the technological supply chain. In this blog we summarise the relevant capabilities required for engaging with Team Tempest as highlighted in the industry briefing. The full presentation from the event can be viewed by ADS members in the Business Development Centre. With a budget £2bn+ over 9 years Team Tempest are looking to position the UK for a NextGen acquisition programme portfolio of activities jointly funded by MoD and industry. With world-leading capabilities, the UK is one of the very few countries internationally with the expertise and knowledge to deliver against the ambitions of the UK defence strategy. There will be international partners, but the UK is no stranger to partnering such as Jaguar, Tornado and Typhoon. Timelines for the programme are already in place with an outline business case to be delivered in December 2020, a full business case in 2025 and initial operating capability in 2035. The increasing importance of digitalisation was highlighted in the briefing. 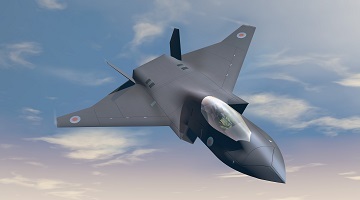 Air Commodore Linc Taylor noted that future air combat will be in an increasingly complex and contested space and to succeed in this environment will require ‘rapid capabilities’ and ‘agile and adaptable software’. Air Marshall Mike Wigston also added that speed and smarter, synergistic use of data will be critical for decision making and success on the battlefield. Therefore, organisations with leading digital capabilities in any sector are of particular interest to the Tempest procurement Team. We will continue to work with the Tempest Procurement Team to keep you up-to-date on the opportunities available. If you fulfill the requirements outlined above and wish to be considered for the Tempest programme, please email me for more information. Our Business Development Centre is a central resource of programmes such as the Tempest programme. Information is updated regularly and members are notified via our LinkedIn Members Group and the ADS Members Bulletin. Interested in joining ADS? Contact us today.